This article previously featured in The Tribune's Weekend section of December 9. Christmas is coming and I'm making my list and checking it twice... my list of my favourite podcasts of the year, of course. But while I do that for an upcoming review article, here's a round-up of podcasts looking at the holiday season – in which I understand there's some other jovial fellow busily checking his own list once or twice. The Christmas Past podcast does pretty much exactly what you would expect from its title – explore the history of the festive season. This isn't a dry history lesson, though, this reveals things that you might not know about the traditions around us. One recent show, for example, explored the history of letters to Santa – which once upon a time were letters from Santa instead. 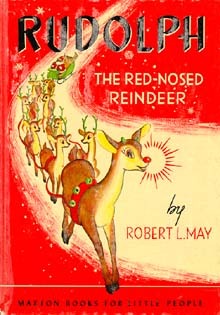 The latest show is about Robert L May, the creator of the story of Rudolph the Red-nosed Reindeer, which started out as a free giveaway story for a department store. May's story itself is a remarkable one, creating his famous character for the Montgomery Ward store. He was a copywriter who wrote the descriptions for the company's products who was scraping by on his meagre wage while trying to pay for his wife's medical bills as she battled with cancer. Then his boss wanted him to write the story for the company to give away, “kind of like Ferdinand the Bull” as his boss said. He came up with his reindeer idea, and pitched his underdog story to the management there... who hated it. May stuck it out though, got an illustrator to draw his fledgling Rudolph – and got the go-ahead. From there, the seeds were sown for the rise to fame of Rudolph – and that song so many of us parents are singing during our car journeys with little ones this season. It's a smashing show – and good for a listen with families over the holiday season. Have no fear, if there's any things they talk about that little ears might not be best suited for, they provide a warning right at the front of the episode. 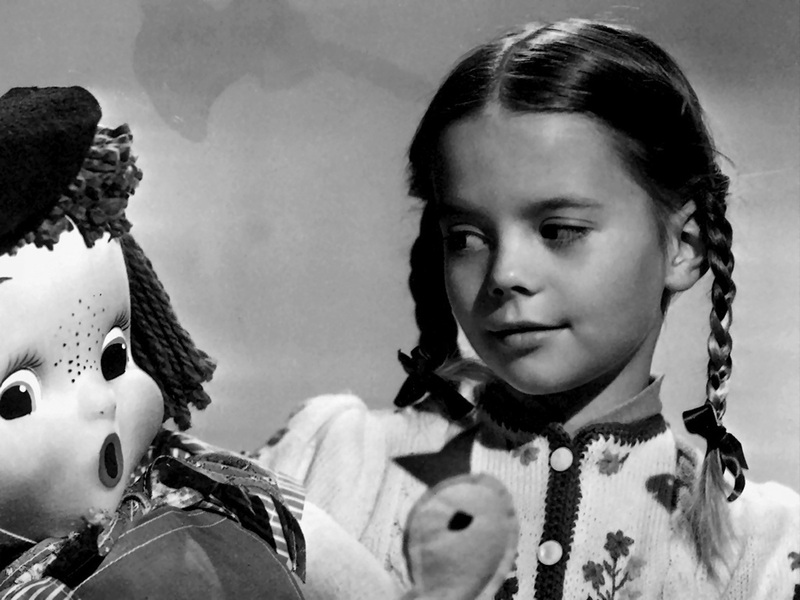 The young child star who appeared in Miracle on 34th Street - Natalia Zakharenko - whose personal story is inextricably linked with the holiday season. A few weeks ago, I reviewed the Entwined podcast – and the holiday season is at the heart of their latest show. And yet, how does a show set out talking about the holidays and end up discussing the death of Hollywood actress Natalie Wood? Well, Entwined has a talent for drawing different strands together and tying them neatly up at the end, and this show is no exception. It takes in how Thanksgiving traditions came to be established in the United States, including the Macy's parade - which was the backdrop for filming of the movie Miracle on 34th Street, with scenes shot simultaneously along the length of the parade as moviemakers scrambled to get the film in the can in one take, no small feat when working with a young actress making her first major movie, Natalia Zakharenko. In later years, Natalie Wood became a familiar face as a chief marshall at the parade, alongside her husband, Robert Wagner, and a regular visitor. One year, however, she was missing, as she was filming a movie at the time – but had a chance to take a break to go yachting with her husband and her co-star from that movie, Christopher Walken. It ended in tragedy, however, as she was found drowned... on Thanksgiving, and was mourned around the world, not least by the parade where she was filmed making her breakthrough as that young Natalia Zakharenko back beefore she changed her name. Entwined is a clever show, and well worth your time. I hunted around through a few pretty awful Christmas podcasts this week – there was one called Weird Christmas that was just... well... weird. So it was with some delight that I came to the comforts of the NPR Holiday Favourites selection. There's a host of shows here – covering everything from recipes to Hannukah, Christmas readings of the Santaland Diaries to talk about Christmas traditions, but I recommend you have a listen to their Tinsel Tales. These are collections of snippets about Christmas – some heartwarming, some heartbreaking, but all worth a listen. They range from people having to work at Christmas but finding some joy in the process, to the reporter getting people to sing their favourite carols on the street – and finding people just can't resist doing so. It's a great listen while you're busily putting up your decorations – and perhaps while you have a sip or two of eggnog as you jingle all the way to Christmas.